•	Unique rubber wood top and bottom bases compliments every kitchen. 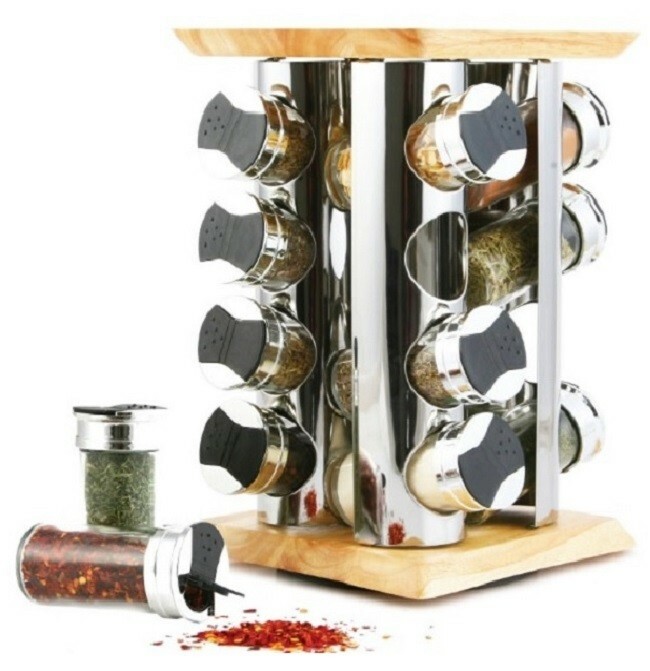 •	Stainless steel pillar with matching stainless steel lids on jars. •	The glass jars contain 16 savory gourmet spices filled in FDA registered facility.